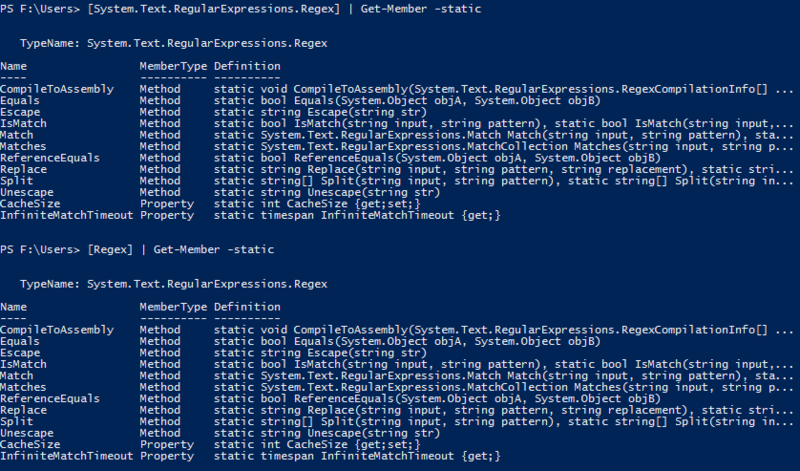 Great post by Boe Prox on PowerShell Type Accelerators! 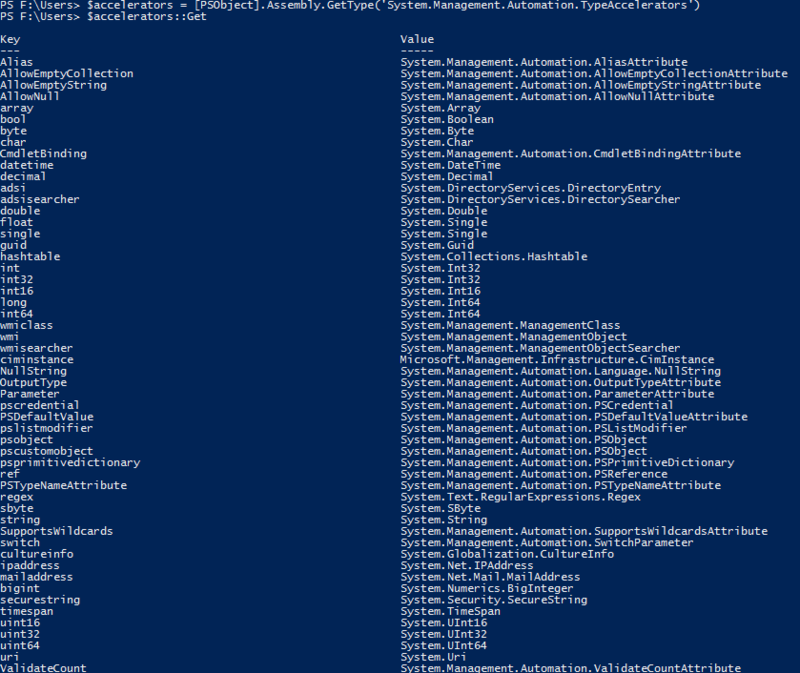 I saw a question recently that somebody asked on how to locate and create custom type accelerators without the need of the PowerShell Community Extensions (PSCX) and its type accelerator, [accelerator]. I quickly answered his question, but decided that this would make a decent article not only for everyone, but also for my own reference. The quick synopsis of a type accelerator is that it is basically a shorthand type for a full .Net type such as System.Text.RegularExpressions.Regex in which the type accelerator is [regex].